The College of Medicine was established by the Royal Decree No. 3-B-53278, issued by the Custodian of the Two Holy Mosques King Abdullah bin Abdulaziz on the 9th day of the month of Dhual-Qadih 1424 (1st January, 2004). 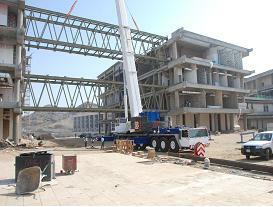 The Kingdom of Saudi Arabia has experienced a sharp and steady improvement in its economic status and infrastructure. Health services have been developed to a greater extent, as witnessed by accessibility and coverage indicators. The National Guard Health Affairs (NGHA) provides remarkably comprehensive, accessible and universal healthcare services for the entire population of the Kingdom. Without question, there is an overriding sense of prosperity and well being at the National Guard healthcare facilities, as they have consistently reported high quality patient care outcomes for the past several years. Health care is a fundamental necessity; therefore, demand for health-related services typically remains high. The health services in the KSA are, however, being eclipsed by a sociodemographic reality; the percentage of Saudi nationals who are working in the healthcare sector is less than 20%. Hence, the national health manpower development is not keeping pace with the sector’s development. Thus, the need for expansion in health education to fill the big gap in local health manpower is well justified. 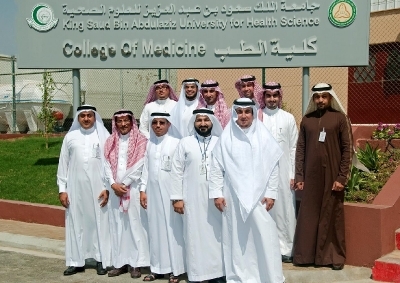 The NGHA has recognized this need, and based on the sound reputation and sustained success of its large postgraduate residency / fellowship training programs at the King Abdulaziz Medical Cities in Riyadh and Jeddah, as well as the success of the recently established College of Nursing, this new College of Medicine was founded. The College of Medicine is currently housed within the King Abdulaziz Medical City, which has an 400-bed tertiary-care hospital with highly qualified medical staff. 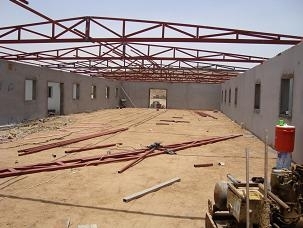 This hospital will be the main teaching center for medical students. Beginning in September of 2010, more than 60 high school graduates and nearly 20 master�s students have had the opportunity to pursue a career in medicine.